Fall is in the air and I feel like "Spicing Things Up" around here so we have an awesome GIVEAWAY for you! 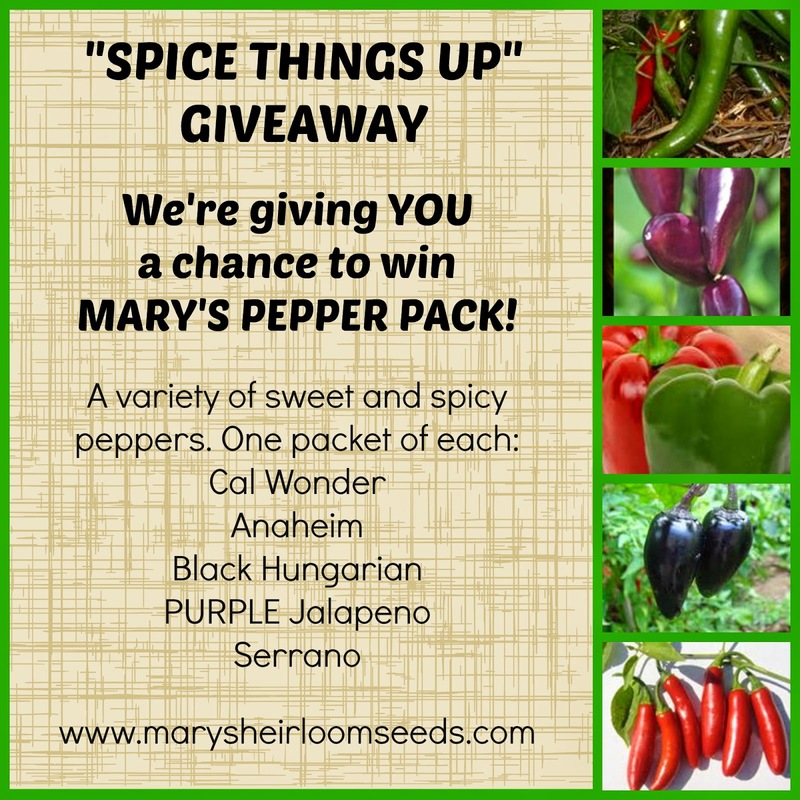 We're giving YOU a chance to win MARY'S PEPPER PACK! A variety of sweet and spicy peppers. 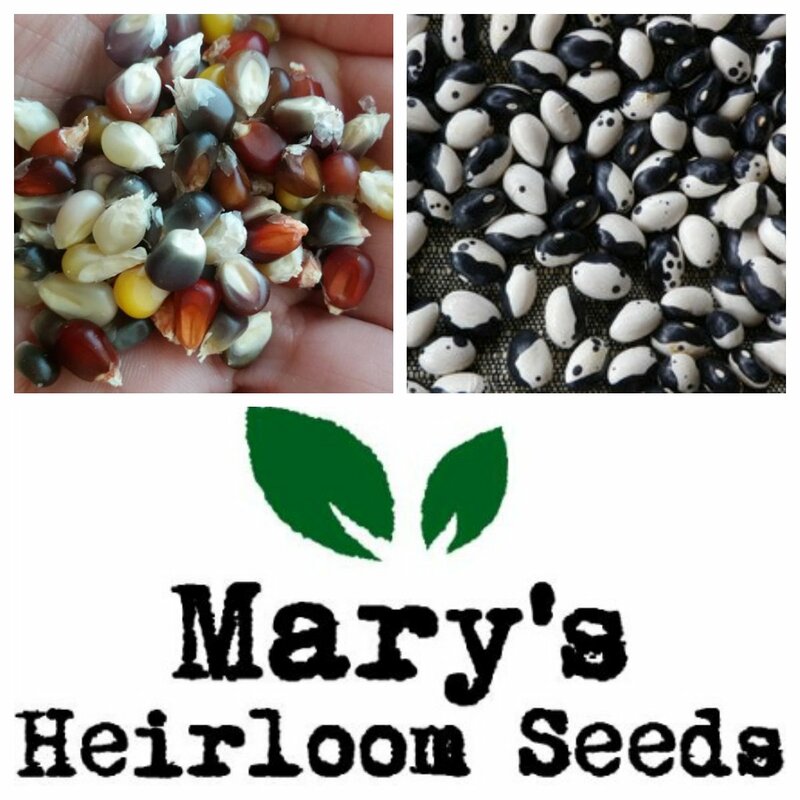 At Mary's Heirloom Seeds, all of the seeds listed are open-pollinated, non-gmo and non-hybrid, non-patented, untreated, heirloom garden seeds. Mary has signed the Safe Seed Pledge! Sign up for the giveaway NOW and invite your friends ASAP cuz it won't last! I am just getting started on gardening so no I don't have a favorite but I am sure over time I will have.